Steyr ( [ˈʃtaɪ̯ɐ]) is a statutory city, located in the Austrian federal state of Upper Austria. It is the administrative capital, though not part of Steyr-Land District. 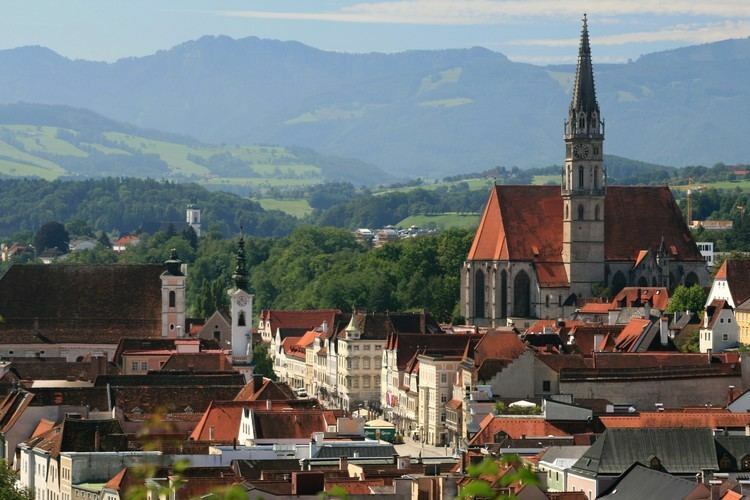 Steyr is Austria's 12th most populated town and the 3rd largest town in Upper Austria. The city is situated in the Traunviertel region, with the two rivers Steyr and Enns flowing through it and meeting near the town centre beneath Lamberg Castle and St Michael's Church. This prominent location has made it prone to severe flooding through the centuries until the present, one of the worst cases being recently in August 2002. To the south of the town rises a series of hills that climb in altitude and stretch out to the Upper Austrian Prealps. To the north, the hills roll downward towards the confluence of the Enns with the Danube River, where the town of Enns is situated. In the east, the municipal area borders with Lower Austria. Steyr is an ancient town with modern amenities, marketing its rich cultural and architectural heritage in tourism like Vienna and many other well preserved Austrian historic towns. It marked its 1,000th anniversary in 1980, after undergoing extensive restoration of its historic architecture which has made it one of the best preserved old towns in the country. The famous historic town centre built around the Stadtplatz (town square) was largely restored following World War II. Its best-known piece of architecture is called the Bummerlhaus which is considered one of the finest examples of Gothic architecture for its size in Central Europe. The city comprises the cadastral communities of Christkindl, Föhrenschacherl, Gleink, Hinterberg, Jägerberg, Sarning, Stein, and Steyr. Celts settled the area from about 600 BC, the name of the Stiria River is of Celtic origin. Their kingdom of Noricum became part of the Roman Empire in 15 BC. A settlement named Gesodunum noted by the ancient geographer Claudius Ptolemy (c. 90 – c. 168) was possibly located in the Steyr region. Here the Roman "Iron Road" led from the Erzberg mine along the Enns River to the castra of Lauriacum (at present-day Enns) on the Danube. In the 6th century, Bavarian settlers moved into the area, which Duke Tassilo III of Bavaria granted to nearby Kremsmünster Abbey in 777. During the Hungarian invasions of Europe, a fortress was erected above the Steyr River by the local Traungau counts, first mentioned as Styraburg in a 980 deed. From 1055 Steyr Castle in the Bavarian Traungau as well as the adjacent "March of Styria" were ruled by the mighty Otakar dynasty. 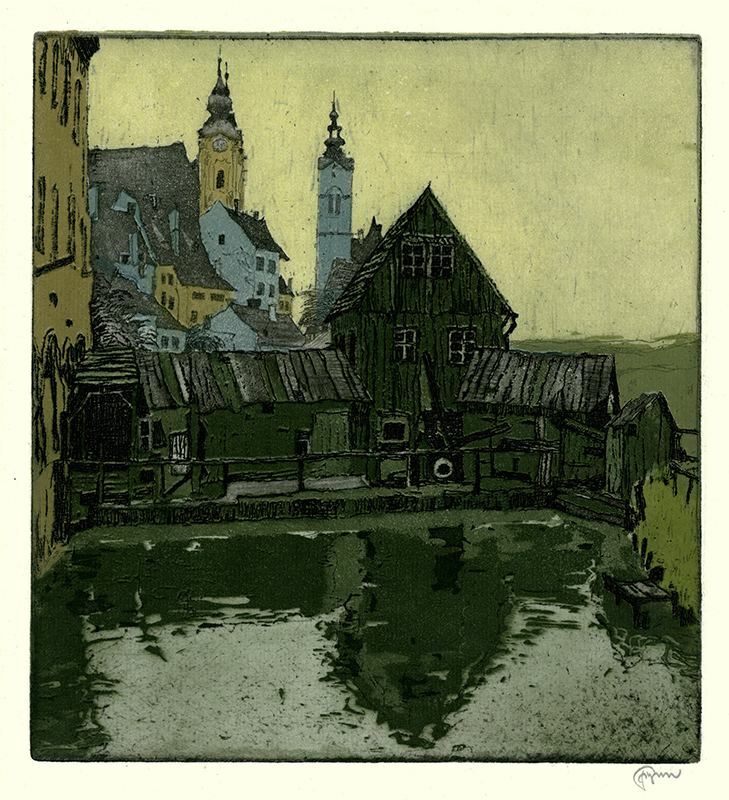 The Otokars controlled the iron mining at Erzberg and made their residence at Steyr a centre of medieval courtly culture and Middle High German poetry. In 1180 Emperor Frederick Barbarossa elevated Margrave Ottokar IV to a Duke of Styria; however, the line became extinct upon his death in 1192 and, according to the 1186 Georgenberg Pact, his Styrian lands fell to the Babenberg dukes of Austria. Steyr, already named a town (urbs) by then, lost its importance as a ducal residence but retained its status as a centre of ironworking. The Babenberg rulers promoted its economic development as a site of blacksmithing, mainly knife making and armament industry. After the extinction of the Babenbergs in 1246, Steyr together with the Duchy of Austria was occupied by the Přemyslid king Ottokar II of Bohemia and finally taken over by the Habsburg king Rudolf I of Germany upon his victory at the 1278 Battle on the Marchfeld. 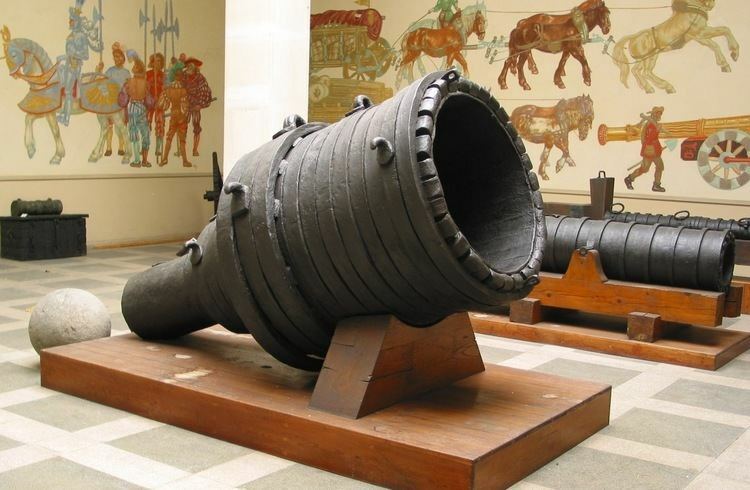 The town privileges and market rights were confirmed by Rudolf's son King Albert I in 1287 and the citizens further on benefitted of Steyr's preferred position within the iron trade all over the Holy Roman Empire and especially with the Republic of Venice. In the 13th and 14th century, Steyr was a centre of the Christian Waldensian movement and a location of the inquisitoral persecutuions led by the Catholic cleric Petrus Zwicker (d. 1403). Likewise, the Protestant Reformation quickly spread among the citizens about 1525, fiercely opposed by the Habsburg rulers in the course of the Counter-Reformation. The economic situation changed for the worse, as the iron trade decayed during the Thirty Years' War, when Upper Austria was pawned to Duke Maximilian I of Bavaria, and the Peasants' War in Upper Austria of 1626. In 1727 the medieval Styraburg was devastated by a blaze and replaced by the Baroque Lamberg Castle. The resurgence of Steyr began under the conditions of late 18th century Josephinism and continued in the course of the succeeding industrialisation. During the Napoleonic Wars Steyr was occupied by French troops several times. In 1830 the blacksmith Leopold Werndl founded an armory at Steyr, which his sons Josef and Franz Werndl re-established as a stock company in 1864, named the Österreichische Waffenfabriksgesellschaft (ÖWG) from 1869. 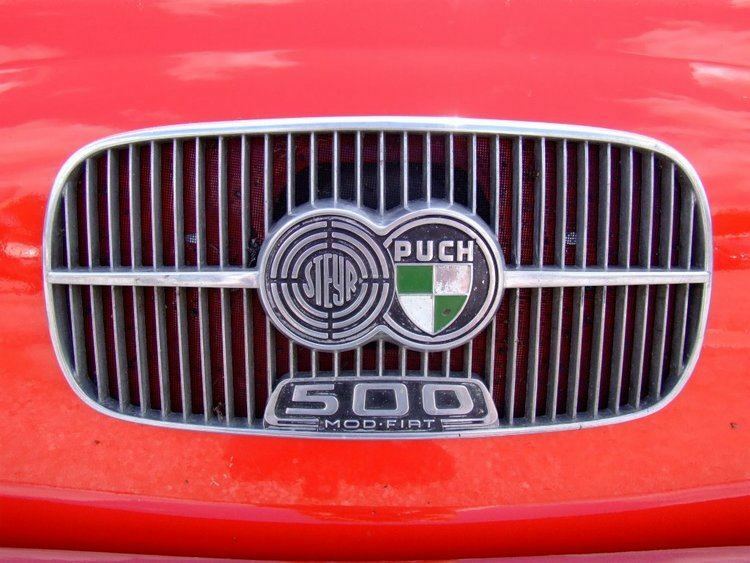 Including the Steyr automobile branch from 1915 it was renamed Steyr-Werke AG in 1926 and formed a large industrial conglomerate by the merger with Austro-Daimler and Puch in 1934. However, the Steyr industry was hit hard by the 1929 Great Depression. In 1934, the town became one of several battlegrounds between Social Democratic Schutzbund paramilitary foreces and Christian Social Heimwehr militias in the Austrian Civil War, which brought about the fascist corporate Federal State of Austria that ruled the country until the 1938 Anschluss to Nazi Germany. The Nazi authorities incorporated the armament industry into the vast Reichswerke Hermann Göring conglomerate, including the construction of the Steyr-Münichholz subcamp of forced labourers, part of the Mauthausen network. A major producer of arms and military vehicles during World War II, Steyr became a target of Allied bombing raids to knock out its factories. In two major attacks by the US Fifteenth Air Force during the "Big Week" on 23 and 24 February 1944, much of the town was badly damaged, but the factories continued to function until near the end of the war. The city was a meeting point on 9 May 1945, when units of the 5th Guards Airborne of the Red Army and black troops of the US 761st Tank Battalion along with the 71st Infantry Division contacted each other on the bridge over the Enns River. Steyr was occupied by the U.S. Army—the Soviet Army moved east behind the demarcation line of the province of Lower Austria. The troops remained until 1955 when Austria officially declared neutrality by the Austrian State Treaty. The hospital Steyr is a center of gravity hospital. The Steyr School of General Health and Nursing offers a degree in nursing science and a training for a certified nurse. The oldest part is the 1916 castle-like old building. Since 1935, the hospital has been continuously expanded. Steyr has a district heating system which supplies the bulk of the buildings and industry with renewable energy. The thermal energy comes from the biomass heating plant Steyr.